A 700-year-old skeleton that will be put on display beginning Saturday, 16 of June at the National Museum of History in Sofia, Bulgaria is causing quite a stir with the media reporting that tourism officials may bring a huge boost to the nation’s already growing tourism industry. The “vampire” skeletons were discovered in the Black Sea town of Sozopol, about 300 miles west of the capital. The two skeletons that were found are pierced through the chest with iron rods that were allegedly supposed to prevent the bodies from turning into vampires. The local headlines about these medieval skeletons have ultimately turned into “vampire vacations,” with tourists inquiring from across the globe about how they can visit both the excavation site and the fascinating skeletons themselves. While vampires seem to be at their height of popularity, with films such as “The Twilight Saga” series, the skeletons are not the only reason to visit this beautiful country. 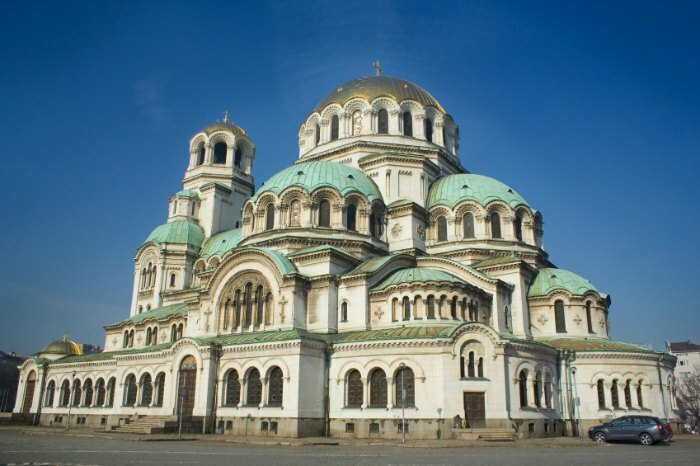 Sofia was recently named one of the cheapest European cities to visit in 2012. The European Backpacker Index rates 47 major European cities by price, and Sofia was ranked at number one. Based on this year’s list, visitors could spend five times longer in Bulgaria’s largest city than in Zurich, Switzerland which was rated the most expensive. Bulgaria is in a rather remote location, making it more difficult for travelers to get here than many of the other more popular, and more expensive destinations; although daily flights link Sofia with Athens, Paris, Vienna, London, Amsterdam, Rome, Warsaw and other European cities. While it costs a little more to get there, once you arrive you’ll find your money goes much further. A highly rated hostel, The Hostel Mostel, located in the heart of downtown Sofia, costs just 8€ per night for a private room. The hostel offers clean and comfortable accommodations with a high standard of service. Guests call the rooms “excellent,” and the staff “brilliant,” as well as being a great place to meet friendly travelers. If you’d like to take a peek at the recently discovered skeleton, the National Museum of Natural History is open to visitors every day of the year except major holidays including New Year’s Day, Easter Sunday, Christmas Eve and Christmas Day. In addition to the skeleton, the museum is home to more than 650,000 exhibits and is one the largest museums on the Balkans. The Ivan Vazov National Theater is one of the most popular attractions in Sofia. It’s a must-see in the capital city, with an incredibly beautiful exterior and an even more spectacular interior. This neoclassical building is home to the best plays in town and is the oldest and most authoritative theatre in the country. The adjoining parks and garden make a perfect place to relax and sip a good beer, or enjoy a picnic. Another wonderful thing about Sofia, is that visitors can experience the wonders of the city and just moments later find themselves in a magnificent national park filled with some of the most breathtaking scenery on the planet. The foothills of the Vitosha Mountains are located just 7km from the city centre, with many visitors coming to the area to picnic, gather wild herbs and berries, hike and savor the magnificent views. One of the best ways to experience this region is by taking the chair-lift to the top which will provide you with a breathtaking vista of Sofia down below.